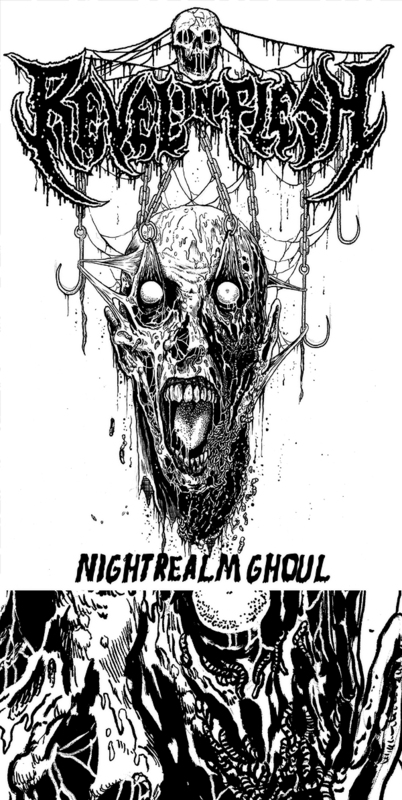 “Nightrealm Ghoul” T-Shirt illustration for my good friends, REVEL IN FLESH (Germany). 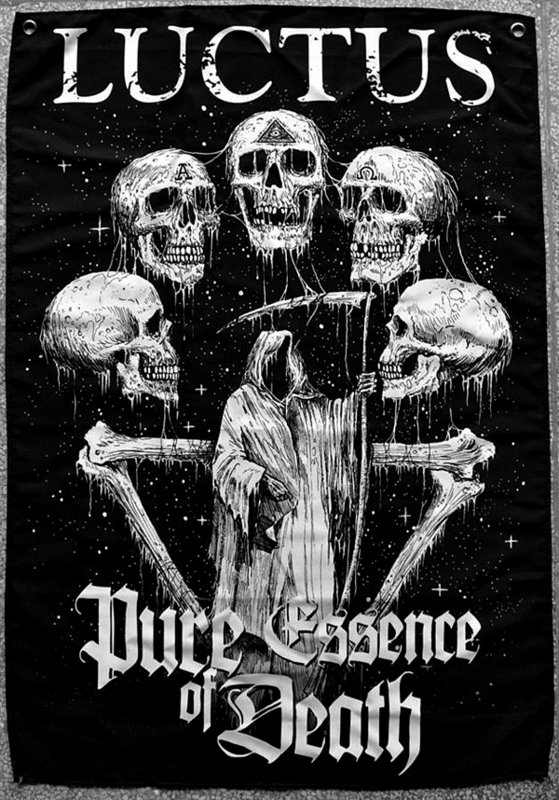 Inferna Profundis Records (Lithuania) has beautiful 70cm x 100cm LUCTUS (Lithunaian black metal) flags available featuring my artwork. They also have flags supporting other great bands like ASPHYX, BLASPHEMY, MARDUK, etc. among other products.